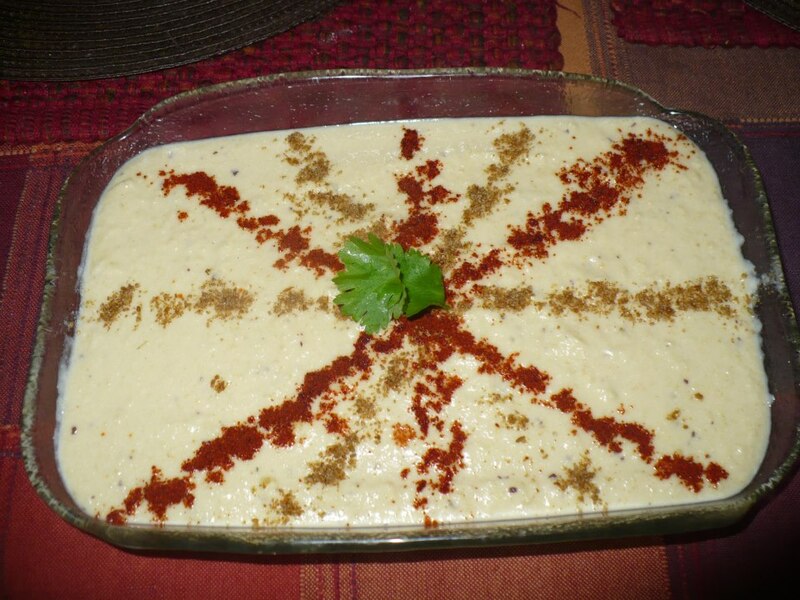 Hummus is a mediterranean or Laventine dip made with chickpea , tahini ( sesame paste ) , olive oil , lemon juice and garlic . This creamy , yummy dip is not only great as a dip but also as a spread for sandwiches , shawrma roll . Blend everything together into a fine paste . Mix with some extra olive oil before serving . Garnish with paprika and cumin powder .